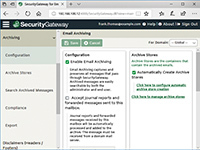 SecurityGateway for Email Servers offers flexible protection with simple, easy-to-use settings for trouble-free administration. 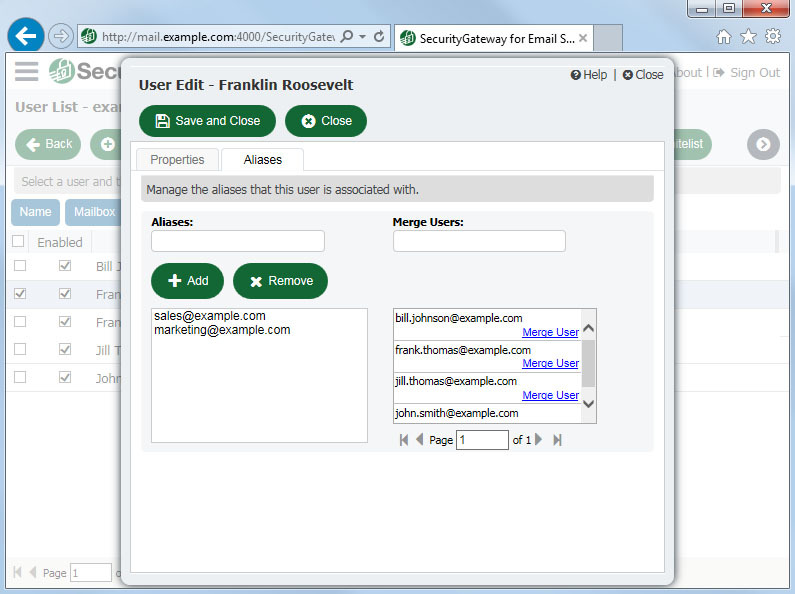 Administrative features help automate processes such as adding domains and users. 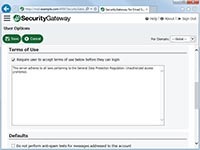 SecurityGateway has support for several languages and includes a per user language option that allows system generated messages sent to the user to be translated to a pre-determined language. A default value may be applied on a server and individual domain basis. 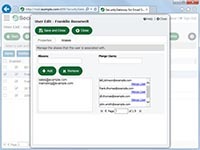 The web interface uses a mobile-first responsive design that is based entirely on the size of the screen being used. 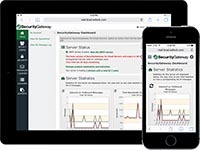 Whether the user is on a phone, tablet, or PC, the appearance is the same for the various screen sizes. 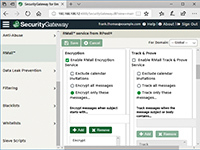 The intuitive interface design makes it easy for administrators to monitor messaging traffic, administer SecurityGateway's settings, and troubleshoot issues. 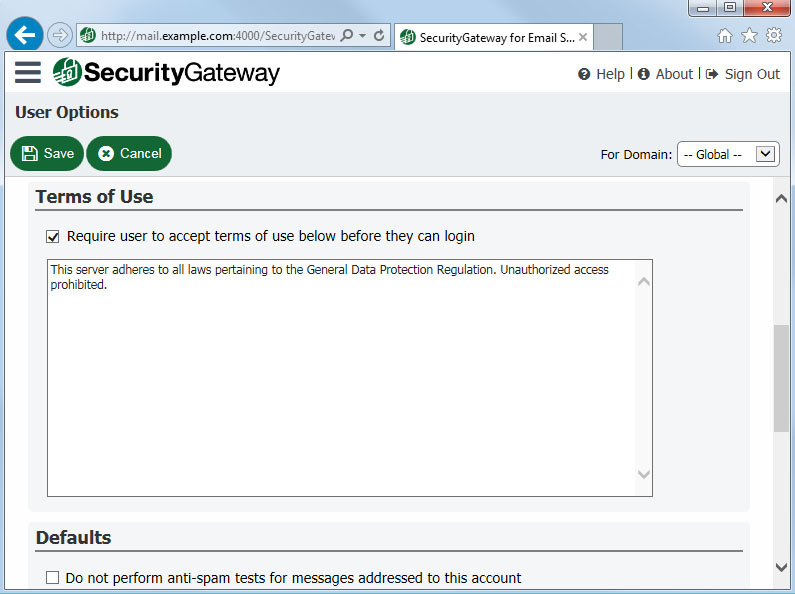 Global and domain administrators can configure user-specific settings. Allows for nearly hands-free maintenance of the domain and user base. 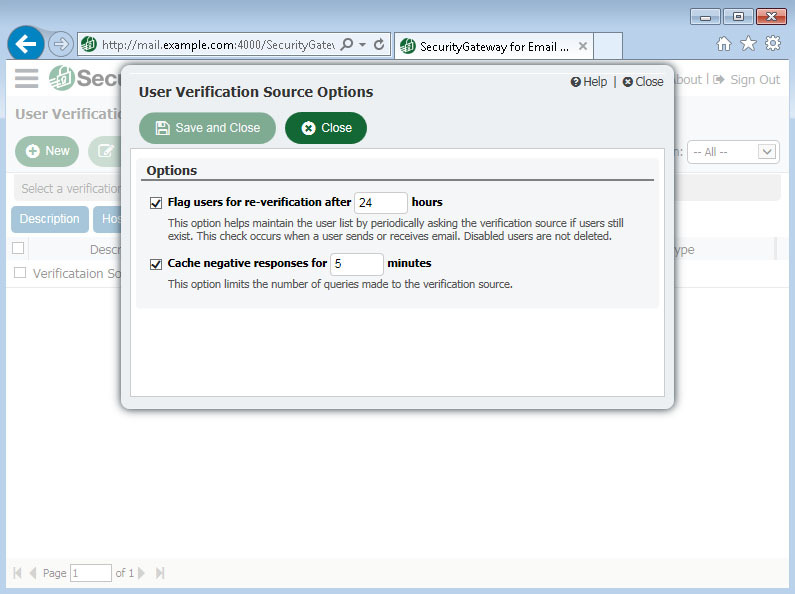 User Verification Source Options allow response caching and user re-verification to be configured. 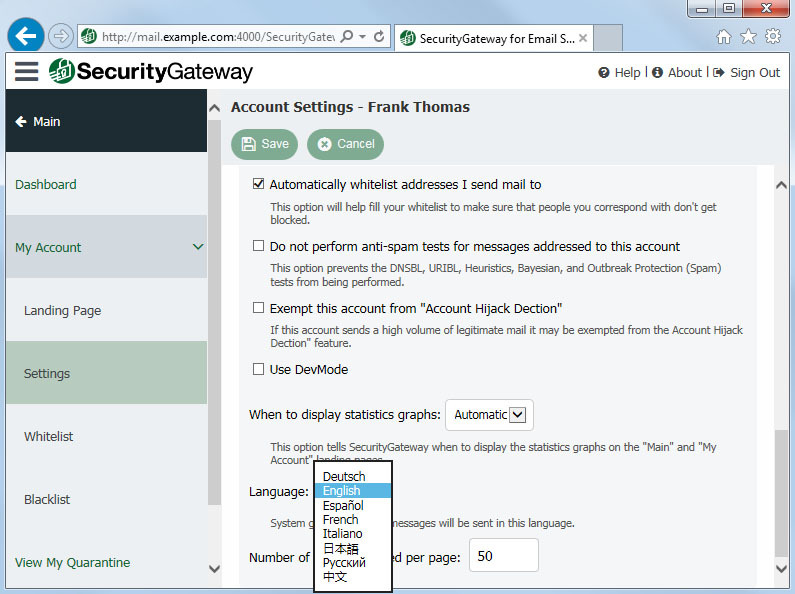 Administrators can be designated globally or per domain. 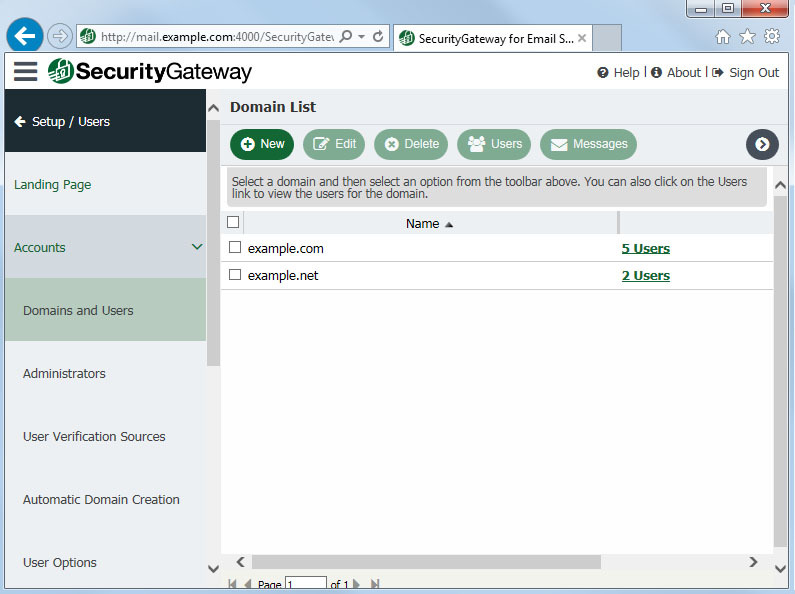 Global administrators have access to all of SecurityGateway's settings, while domain administrators have access to settings for their assigned domains only. 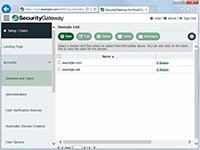 The dashboard for domain administrators displays data for the administrator's assigned domain, while global administrators can view statistics for all domains via the dashboard. 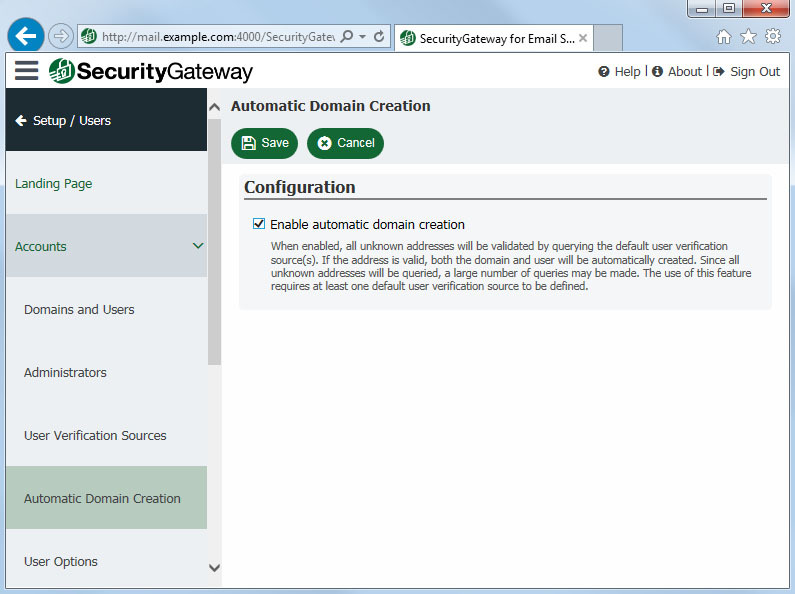 Aliases can be defined for a domain with the assumption that all of the domain's users are valid for any given domain alias - useful if a domain has registered multiple domain names, e.g. 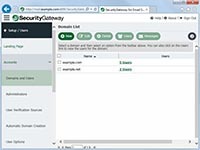 altn.com, altn.us, altn.biz, etc. 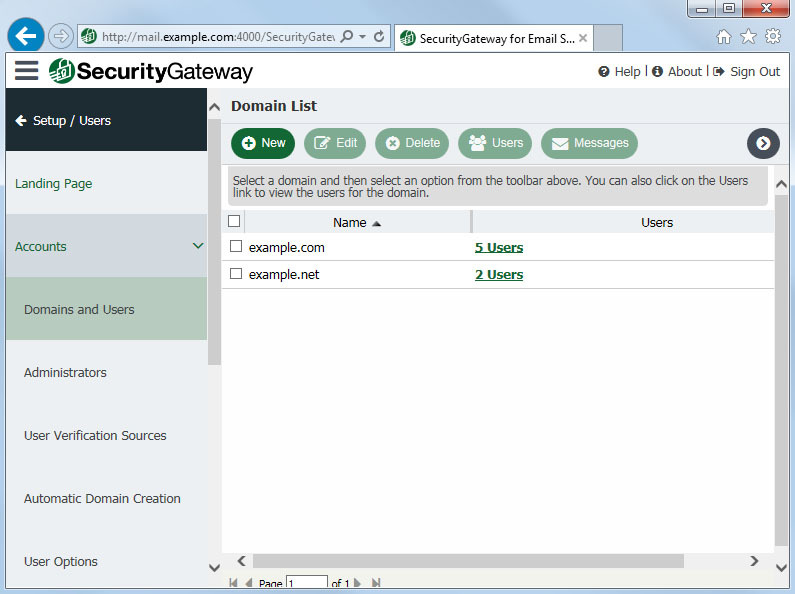 Each domain can be bound to a specific IP address (for servers that have multiple IP addresses). 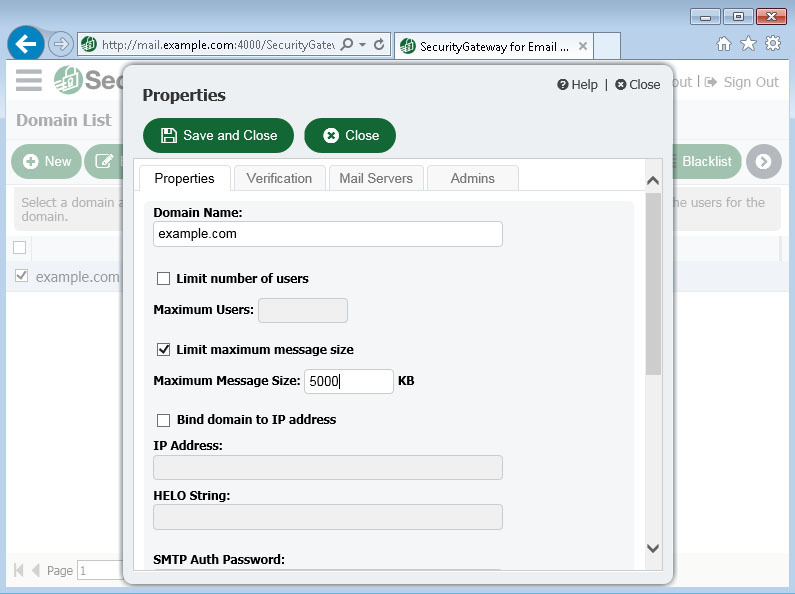 Mail from a specific domain will be sent from its assigned IP address. 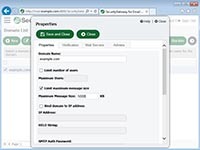 Message size limits can be assigned globally or on a per-domain basis for added flexibility in multi-domain environments. 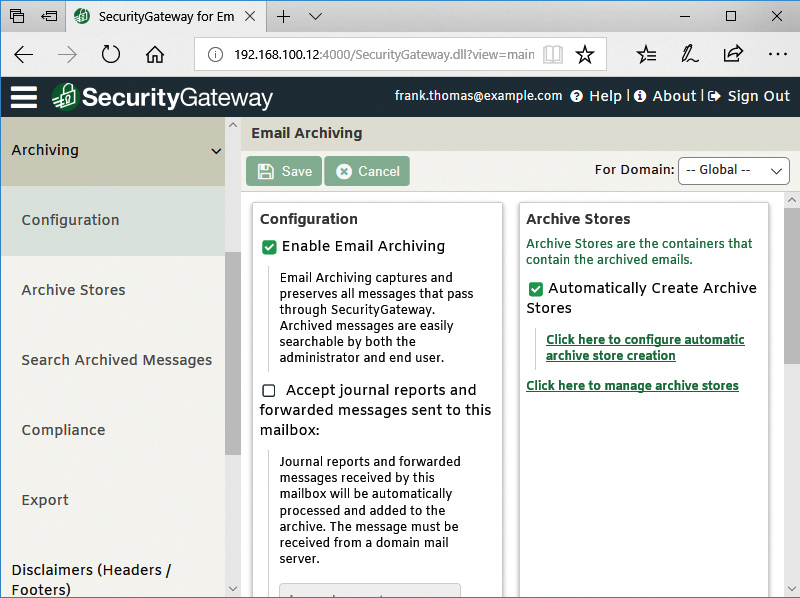 Security Gateway's email archiving features provide a fully indexed and searchable repository of all messages sent and received - for both administrators and end users, with advanced search and options for downloading archived messages or restoring them to the mailbox. 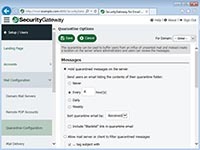 SecurityGateway's flexible quarantine configuration options can be configured to hold quarantined messages on the server, or to allow the mail server or client to filter quarantined messages. 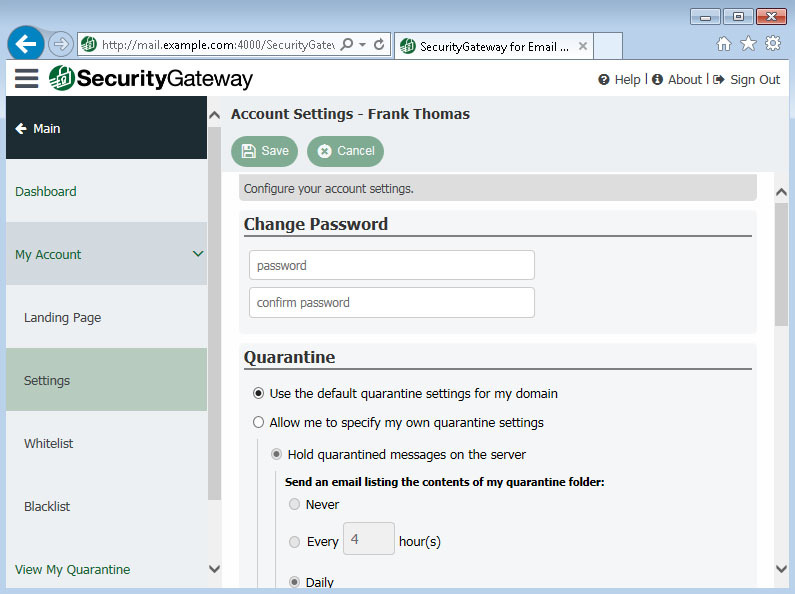 Administrators can grant users access to manage their own quarantines. 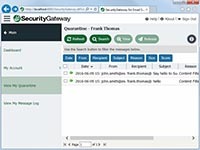 Domain administrators can view quarantined messages for their domain and take appropriate action on selected messages. 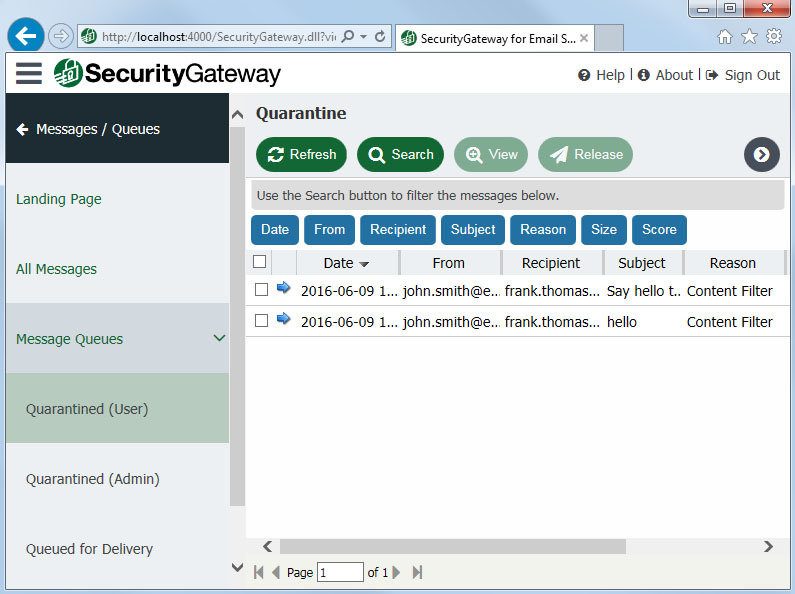 Quarantined messages can be released for delivery to their intended recipient, or immediately deleted. Users can view their own message quarantines and take action on selected messages. Messages can be blacklisted or whitelisted, released for delivery, or deleted. 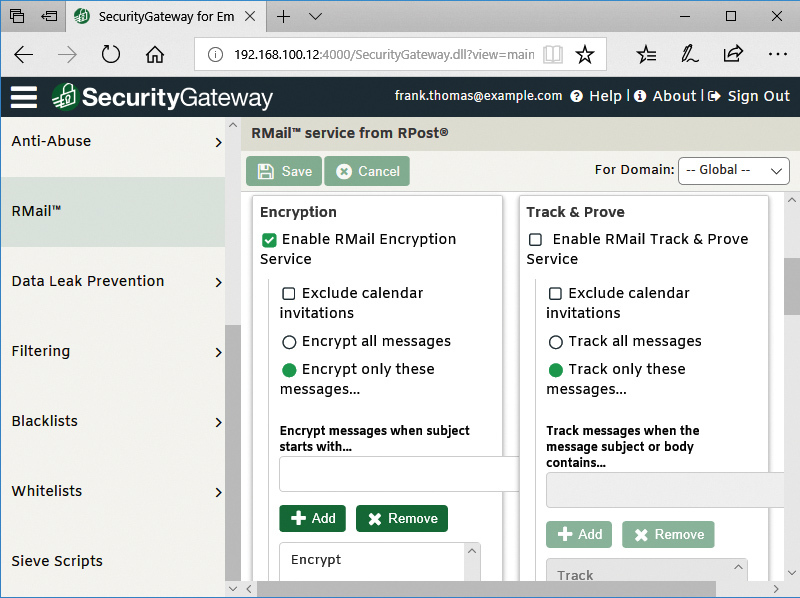 Integrated RMail features from RPost provide seamless encryption, track & prove, and e-signing services. 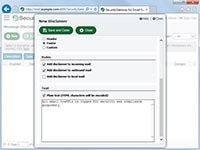 Track your important emails and know precisely when they're delivered and opened. 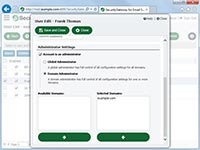 RMail makes it easy for all parties to e-sign and complete a transaction. 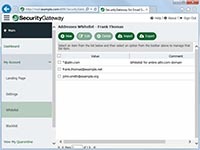 delivered and opened. 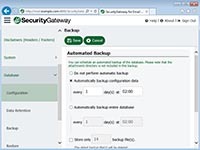 The SecurityGateway database can be backed up automatically at regular intervals. 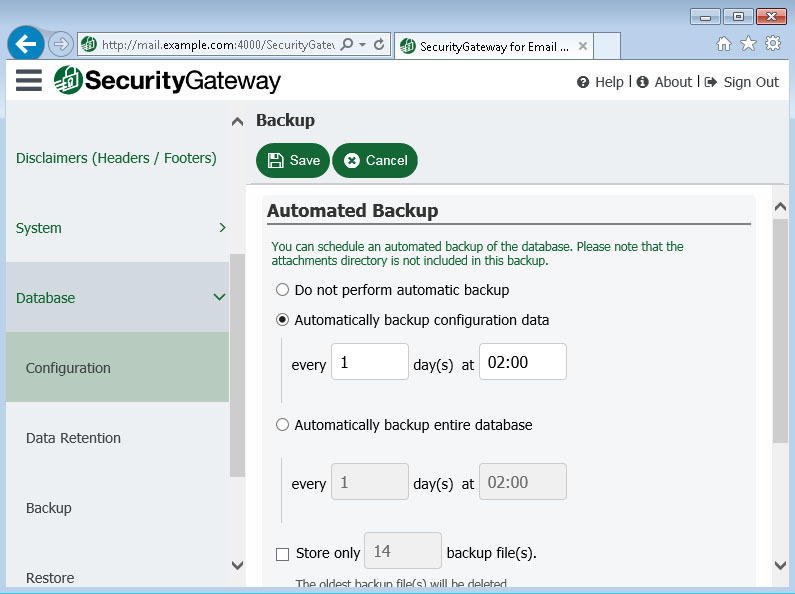 Backups can include the entire database, or only configuration data. 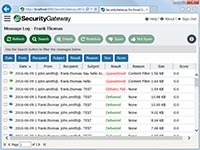 Backed-up database files can easily be restored as needed. 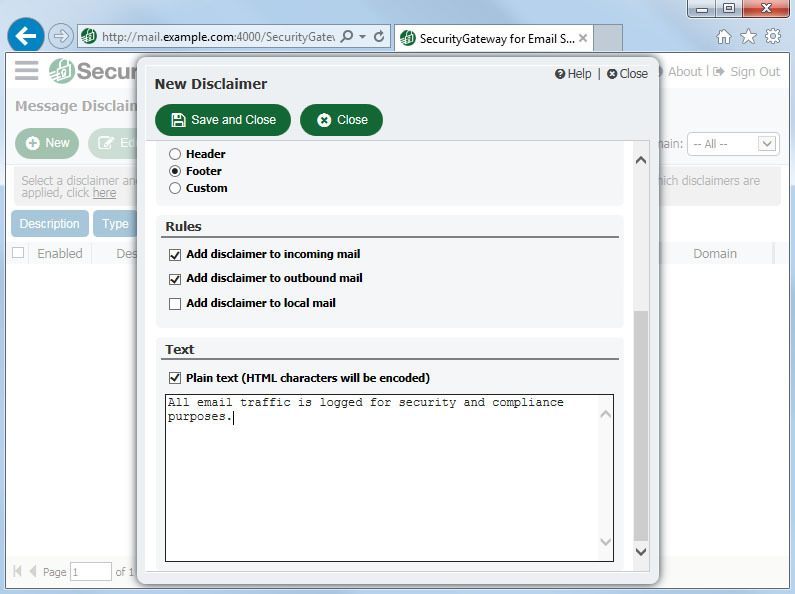 Message disclaimers can be dynamically added above or below the body of inbound, outbound, and local email messages. 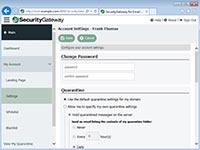 Administrators can grant users permission to perform various tasks, such as modifying their own passwords or adjusting their own quarantine settings. 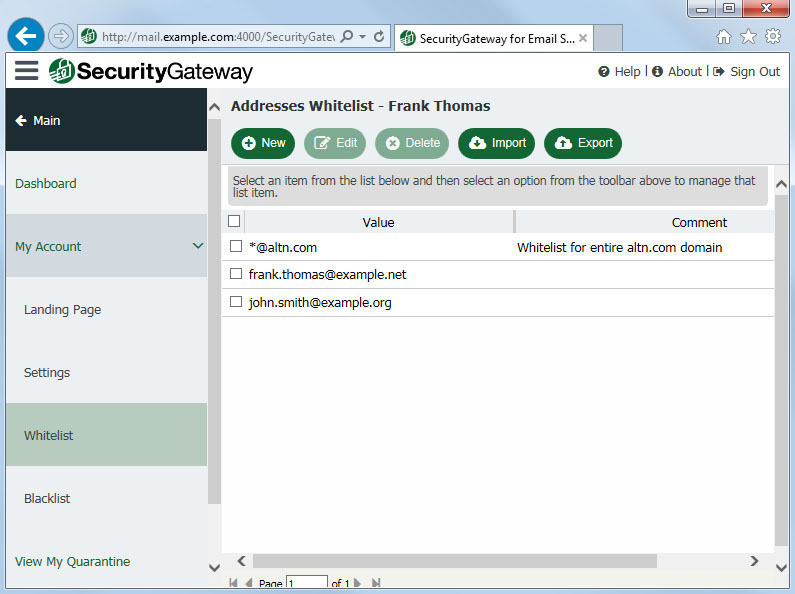 Individual whitelists and blacklists allow users to allow or block email from selected addresses or domains. 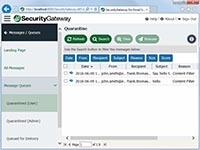 Users can whitelist and blacklist message senders, and view the status of their messages via their own message logs. 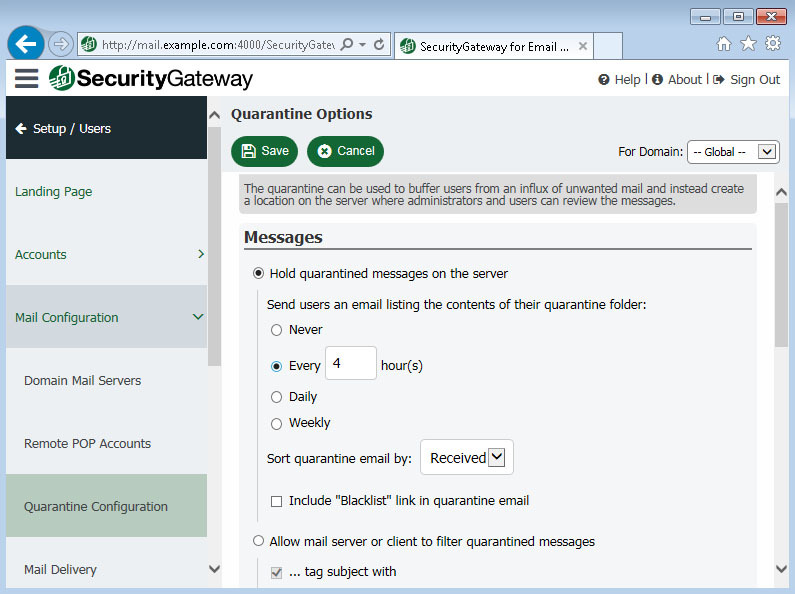 Users who have been granted access to their quarantines can view their quarantined messages and take actions on them. 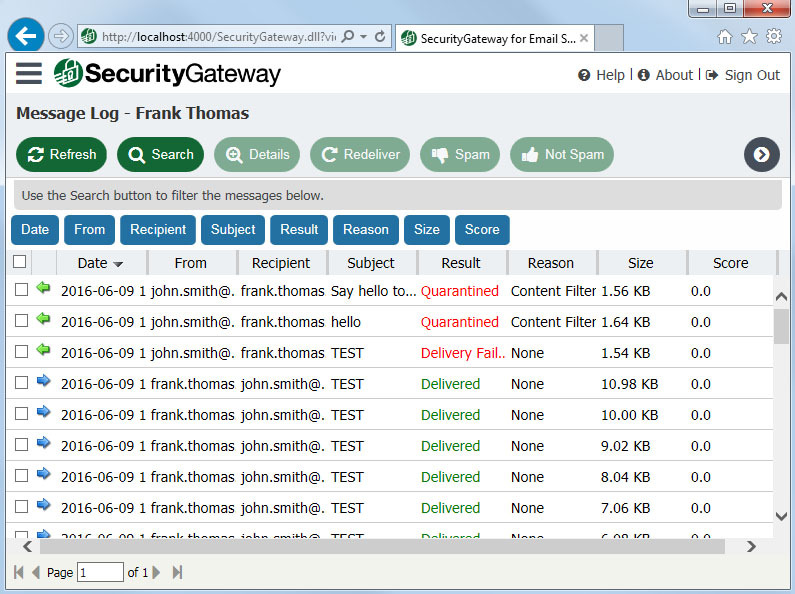 Messages can be released for delivery, deleted, marked as spam or not spam, or whitelisted. 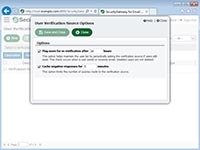 In order to assist with compliance to laws such as the General Data Protection Regulation in the EU, administrators can add a Terms of Service statement which must be accepted by users by checking a box each time they login.